Ever wondered how Brad Pitt got his barnet so sleek for Fury? Or how Zayn Malik’s hairstyle looks smoother than the moves he puts on Gigi Hadid in the video for ‘Pillowtalk’? Well, word’s out: it’s called a fade. Of course, he doesn’t mean spray-painted in the Sisqó circa 1999 kind of way. Instead, it’s a masterful cut that involves subtly blending hair lengths – with a clipper, scissors, or often both – to give the hair at the back and sides of the head a smoothly graduated or ‘faded’ effect. In short, if you only learn one piece of barbering jargon, make it this (and these). Clean, classic and versatile, the taper fade is a crowd-pleaser. It’s sharp, but not severely so, meaning it’ll work as well at your desk as when you’re off-duty. 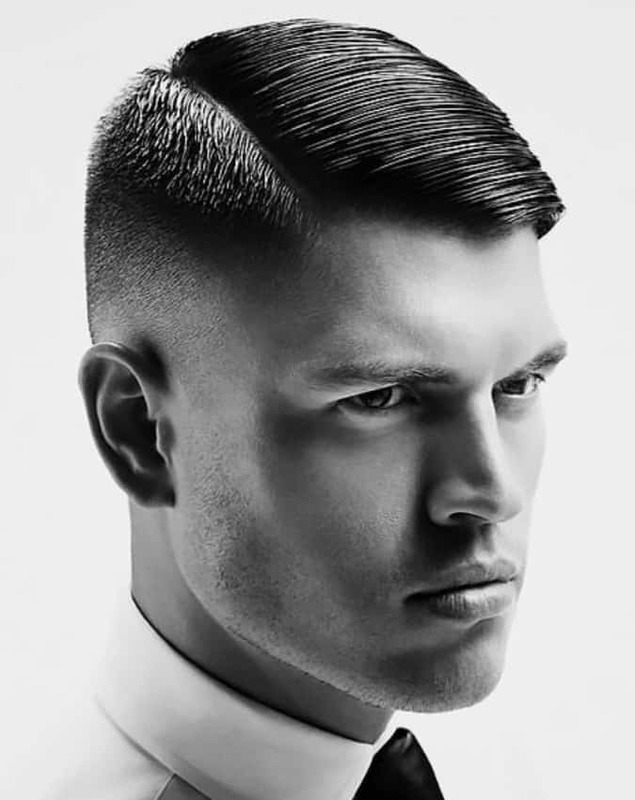 “A great look for someone who needs a smarter haircut and wants it to look slightly more natural.” Also, because the taper fade lacks any significant scalp exposure, it can be used as the basis for several different styles up top from a neat scissor crop to longer, more dramatic styles. Less subtle than a taper fade, a low fade puts a little more skin on show, offering a finish that’s clearly demarcated, but is still far from a skinhead. “It’s a good option for a more oblong, diamond or triangular head shape,” says Gore, who also suggests complementing a low fade with a well-groomed beard, which creates a contrast in textures between your fade and your facial hair. 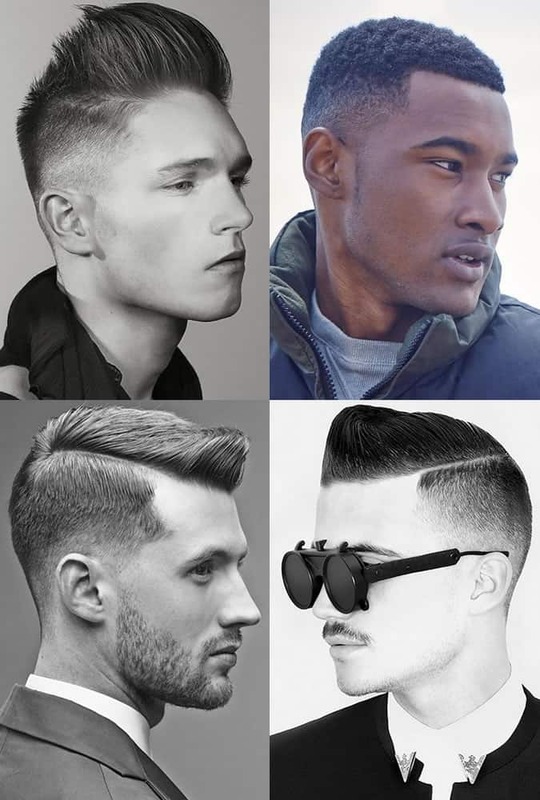 More noticeable than a low fade, but not as scalp-exposing as its high variant, the mid fade is unsurprisingly one of the most popular styles men plump for, and ideal for creating a harder skin-hair blend line should you want to take a more old-school approach to your fade. Like the Fresh Prince, but bolder, the high fade (also known as a high and tight) is a high-contrast style where most of the hair on the back and sides of your head is shorn back to skin using a foil shaver. “For the high fade, the natural shape of the head isn’t taken into account and a new base line is created around the area from the upper recession to the lower crown,” says Gore. This results in a highly stylised finish that’s anything but subtle, but is sure to turn heads. Not keen on clippers? Or want a style that will definitely fly in a smart-casual office? Then swap a buzzed fade for a softer, scissor-cut style. Resist the urge to save cash by cutting your own hair or opting for a six quid shearing. Always entrust your fade to a quality barber who has put the time in to learn the art (and it is an art). 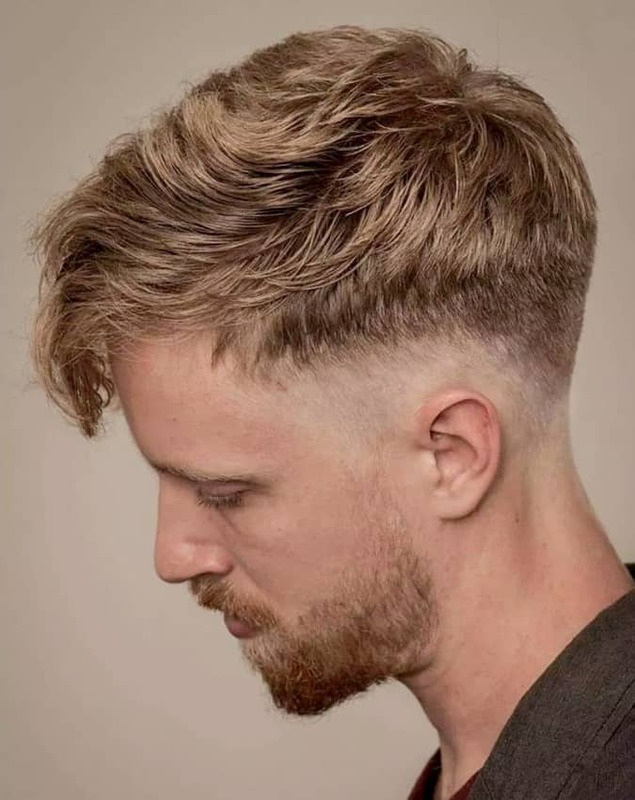 Although it might seem simple, a fade’s anything but, requiring precise scissor and clipper work and a lot of eyeballing to perfect that graduated look. Award season may be a great place to pick up a new hairstyle to try out, but what you ultimately opt for should be informed by more than whatever The Gos is currently sporting. When it comes to a fade, let your scalp play a part in the decision. If you have any conspicuous lumps or bumps in a particular area, then bear that in mind when choosing which style works best for you. Want to keep that expertly blended finish? Then be prepared to visit your barber regularly. “The closer the haircut, the more regular you’ll need it re-cut to keep it sharp and clean,” says Gore. Due to the rate your hair grows at, fades – particularly fades with a lot of scalp exposure like bald and high styles – need to be cut back in every couple of weeks. One man’s disconnected undercut should never be another’s Harvard clip , but the right haircuts can happen to the wrong people (just look at the nineties). To avoid this happening to you, if in doubt always show your barber a photo of the style you want as a reference point. Mid-century rock ‘n’ roll style meets modern barbering techniques in this souped-up throwback cut. Elvis on top and Drake at the back and sides, the pompadour fade keeps it lofty where it counts and neatly blended everywhere else. Sometimes referred to as a Cameo cut, having been popularised by the funk/early hip-hop group of the same name, the high top fade is a flat top trim and fade combo that harks back to an era of boomboxes, B-boys and basketball shoes. While some of the edgier fade hairstyles can be a little jarring, the comb-over fade is one your gran could get on board with. Featuring a smart, preppy side parting on top and served up with a hearty dose of precision fading to the back and sides. It may sound like something dreamt up by a marketing-savvy barber eager to get more punters through the door, but the drop fade is anything but. This contemporary take on the classic gradually lowers around the back of the head leaving more length at the back. A classic case of ‘Does What It Says On The Tin’. The faux hawk fade combines its two titular elements to create an amalgamation of the two. A strip of hair runs down the middle of the head from forehead to nape, gradually fading down towards the ears. One of the more low key fade variations. The temple fade involves blending the hair down to a very short length on the temples, down behind the ears and to the nape of the neck. Its subtle styling makes it a solid accompaniment for anything from a crew cut to a pompadour. Bald isn’t one of the words you’d tend to use when describing your next haircut but this is the exception. The bald fade is any type of fade that graduates right down to the skin, creating a high-contrast look. The burst fade offers a subtler alternative to a faux hawk or even a faux hawk fade. The longer hair that runs down the centre of the head is left wider, tapering towards the nape of the neck and fading out down the sides of the head. Having been sported by everyone from Becks to Brad Pitt, the undercut fade has secured its place in the hairstyle hall of fame. It features medium to longer-length hair on top, either swept back or worn loose, topped off with a clean fade to the back and sides. A curly fade is any type of fade haircut performed on curly hair. If you thought that woolly mane excluded you from the club then think again. The Best Shoes In The World From the stalwarts of the shoe rack to the new cult classics How To Wear A Dinner Jacket In 5 Fresh Looks The penguin suit has had its day How To Wear A Belt With A Suit Tailoring sin or underused menswear hack?